Welcome to this month’s EXCLUSIVE September 2017 underwhelming fossil fish of the month, your one stop shop for monthly underwhelming fish fossils delivered direct to your eyeballs in exchange for only the most precious resource you have, your time. Always ticking away. Always edging towards oblivion. This month we’ve got a real spectacle lined up for you. This fossil fish was a SUPER MEGA PREDATOR that struck fear into the hearts of animals that saw it. 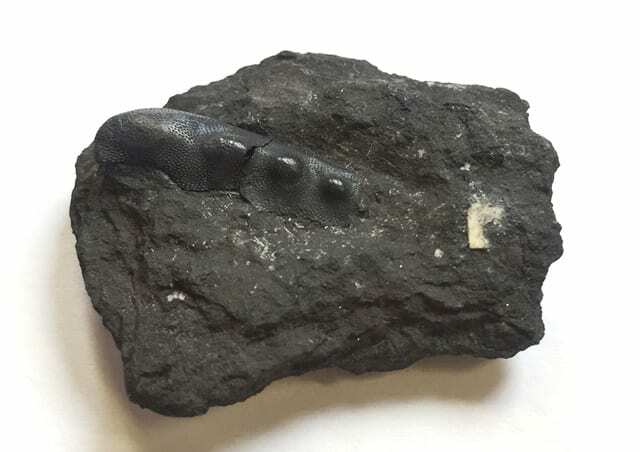 This fossil fish is so impressive, it has inspired generations of artists, toy manufacturers, video game developers and the people who make stamps, minters? Stampers? Those people anyway. These fossils often form the core of museum displays and make for the most memorable visits…..
That’s right we’re bringing back the 90’s positive setup followed by an obnoxious NOT. This fossil is almost the complete opposite of exciting, in fact the least underwhelming aspect of it is how it looks and it looks like this. Or put another way, it looks like this. 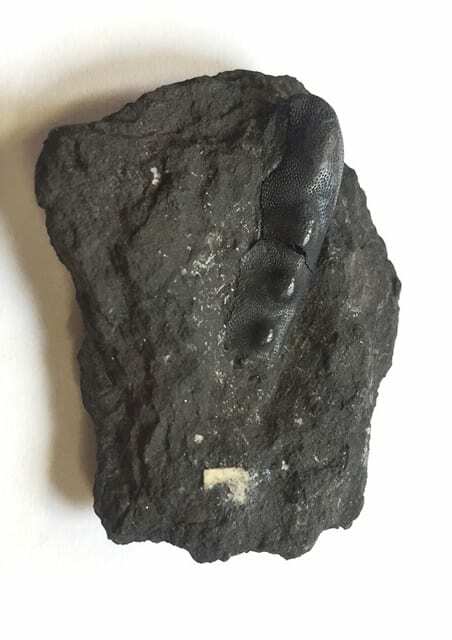 According to the label for this specimen, this is a fossil of an unspeciated Deltodus collected from the North West Province. Deltodus and its relatives are highly problematic fish thought to be in some way related to holocephalans, cartilaginous fish represented today by chimaeras. In the past Deltodus has been placed with similiar fossils into the group cochliodontiformes and were sometimes referred to as ‘bradydonts’. However, the taxonomic affinities of all of the holocephalans is highly doubtful, the group is a wastebasket taxon, until somebody can be bothered to sort through the weird looking living fish and the very underwhelming fossil relatives. This fossil is a typical cochliodont fossil in that it is probably one of the elements of the jaw however the sheer blandness of these jaw elements has caused much confusion over what bit goes where and which species is which as we’ll see. Preservation Although half of this fossil is still embedded in the matrix, the bit we do have exposed is actually extremely well preserved, the structure of the surface of the thing can be seen as smaller dotty things and there are three large knobby things which seem to show some wear. Early descriptions of Deltodus suggest that one of the key ways to identify specimens of Deltodus as separate from related fossils Sandalodus is the presence of three ‘teeth’ on each ramus (Branson 1905). In checking the identification of this specimen I’ve tried in vain to work out whether the three obvious knobs here are in fact the ‘teeth’ presumed to be key in the identification. The problem is that every single cochliodont I look at seems to be almost entirely featureless and indistinguishable from each other. Writing in 1900, Eastman describes and figures the “most perfect examples of Sandalodus ever discovered”. I’ve had misshapen quavers of more morphological richness as the reproduced figure below shows. I’m not even clear on whether this is a tooth plate, tooth, jaw or just a nicely preserved lobster claw that’s been mislabelled. You too can take part in this fruitless exercise by comparing images of specimens on the excellent GB3D Type Fossils Portal. Here’s Deltodus, Helodus and Psephodus to compare to our specimen here. “The most perfect Sandalodus specimen ever discovered” perfectly highlights why this group remains a wastebasket taxon. Figure reproduced from Eastman 1900. Scientific Research Despite the problems in just identifying the damn things, Deltodus and its relatives have been the subject of some research as the chimaeras and their extinct relatives are thought to be one of the most primitive groups of jawed vertebrates. However, much of the nature of research on this group can be characterised as confused. Working out which way up these jaw elements went has puzzled palaentologists since their discovery, further confusing their interpretation. Palaeontologists disagreed on which ones were upper or lower (Woodward 1889) and which were anterior or posterior, if they decided to attempt orienting them at all (Stahl and Hansen 2000). Unlike the cartilaginous sharks and rays, from tooth wear and growth these fish didn’t seem to constantly replace their teeth elements and it was hypothesised that these fish used their teeth in crushing or grinding like some modern rays and so these elements would have laid flat in the jaw. Reinterpretation of these from fossils showing articulated jaw elements and teeth hypothesised that they weren’t crushing or grinding teeth at all but nipping teeth (Berman 1967) . Thankfully it turns out I’m not the only one who struggles with these fossils. The description of a well preserved specimen of three associated paired tooth plates in 2000, showed that elements thought to represent three different animals- Deltodus, Sandalodus and Orthopleurodus actually all belonged to one species (Stahl and Hansen 2000). Since 2000, the palaeontological community has informally agreed to just secretly pretend this group doesn’t exist*. In Society Obviously, these fish have had virtually no influence or impact on society. After taxonomic database listings, the fourth result on Google is a tweet by the Grant Museum’s own Hannah Cornish about her blog post documenting these fossils (including this very one). I think this qualifies the Grant Museum for some sort of special accolade when it comes to Deltodus studies were Deltodus suff… OH MY GOD JUST END IT HERE BEFORE I DIE OF BOREDOM. Branson, E. B. 1905. Notes on Some Carboniferous Cochliodonts with Descriptions of Seven New Species. The Journal of Geology. Vol. 13, No. 1. pp. 20-34. Stahl, B. J. and Hansen, M. C. 2000. Dentition of Deltodus angularis (Holocephali, Cochliodontidae) Inferred from Associated Tooth Plates. Copeia, Vol. 2000, No. 4. pp. 1090-1096. Mark Carnall is the Curator of the Grant Museum. NOT! He is actually the Collections Manager (Life Collections) at the Oxford University Museum of Natural History and former Curator of the Grant Museum. * The reason why you’ll find no evidence of such agreement is because it’s a secret okay? So no telling anyone. I thought sandalodus was a common Roman complaint. We need somebody to selflessly dedicate their life to research on these problematic fossil fish. What would you suggest – drawing straws? Ip dip? An alternative to a custodial sentence? Surely there’s someone looking for a postgrad research project who just needs a nudge in the right direction from someone they trust. Putting the fossil a different way helped a lot, but I bet it would reveal even more to put it in a different light.